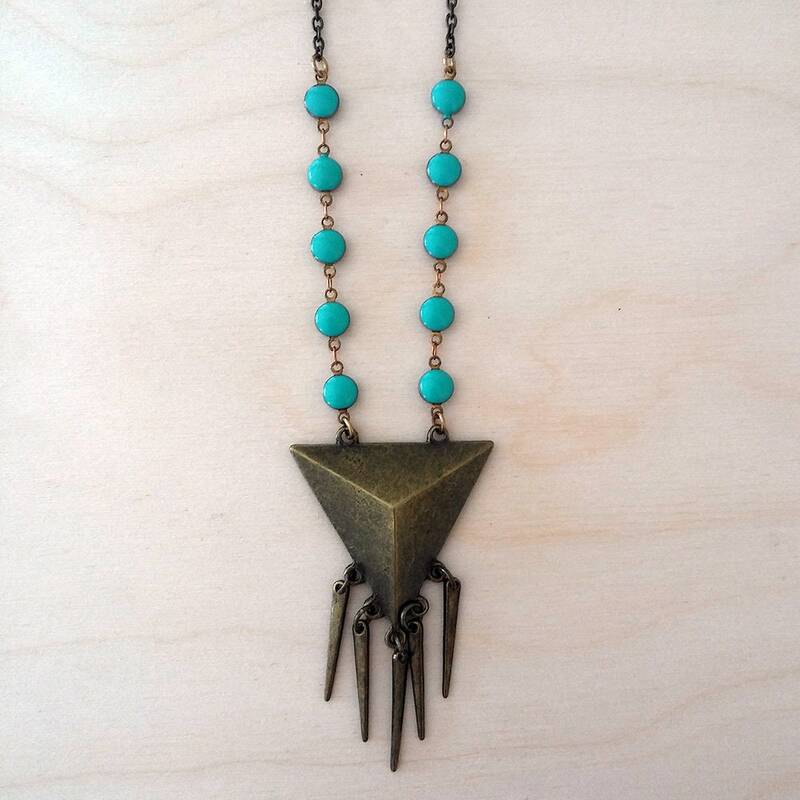 Stay wild with this boho, geometric necklace. 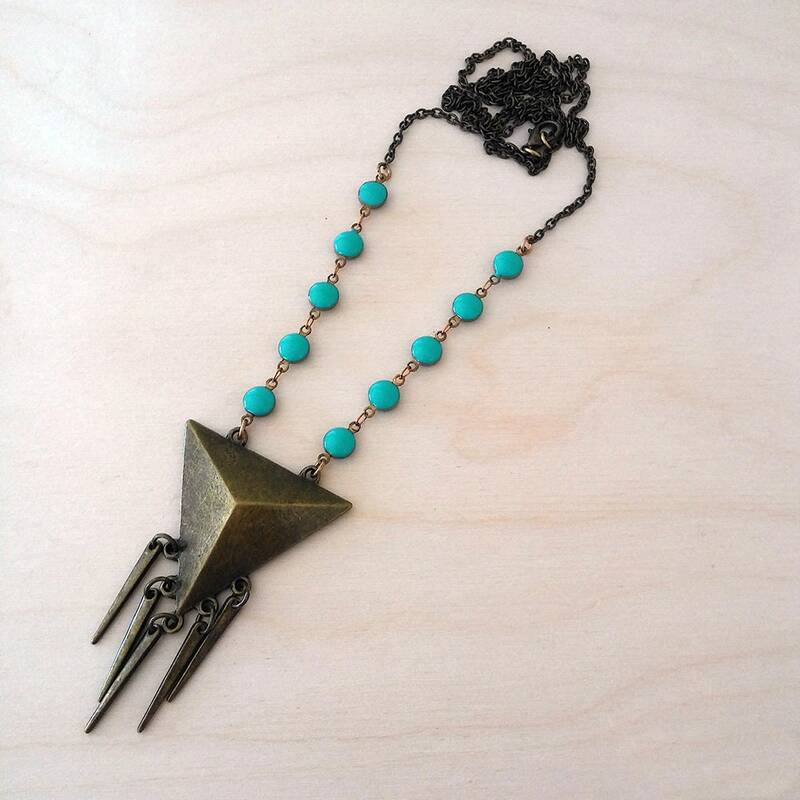 Accented with turquoise colored rosary chain. On the longer side and perfect for layering. 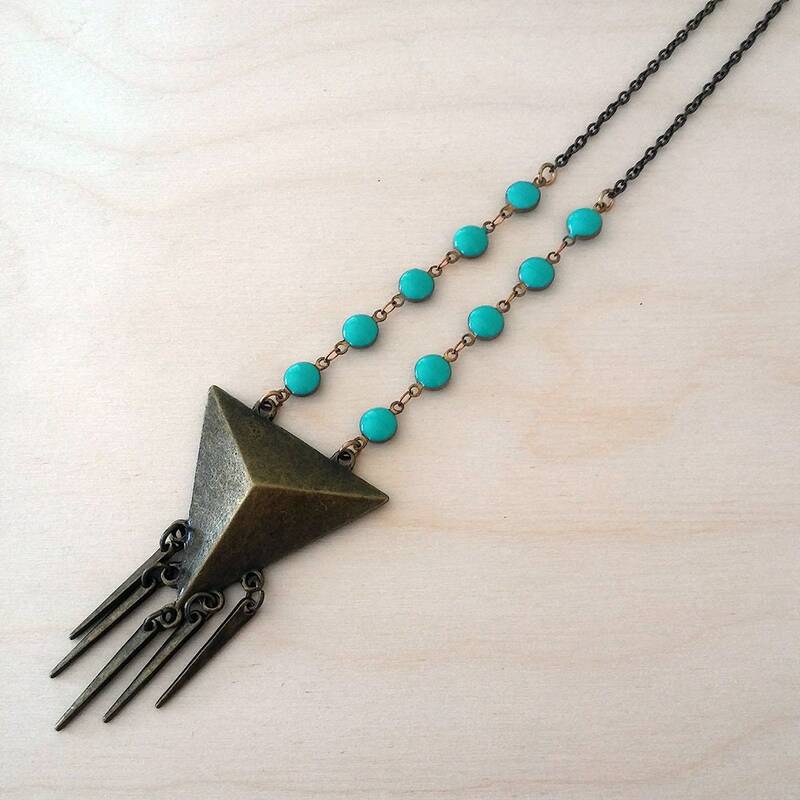 End to end, necklace measures 30.75"
To prolong wear, refrain from bathing/swimming while wearing.